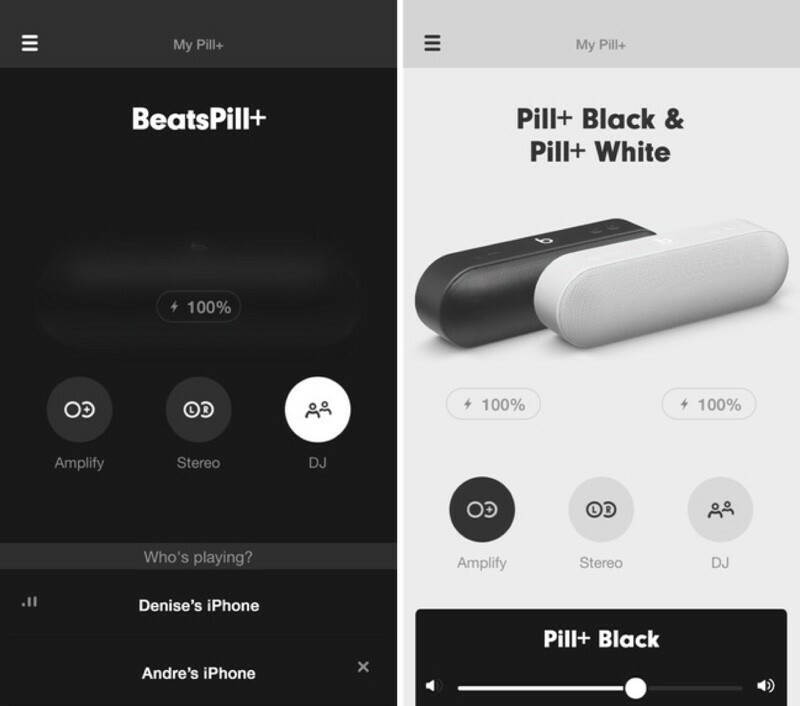 Apple today debuted a new Beats Pill+ app for both iOS and Android users, providing a way for those who own the new Beats Pill+ speakers to control the speakers, check power levels, download software updates, adjust sound levels, and link multiple speakers together for different effects. There are three modes in the app, listed below. DJ - Grab a friend and control the music from two Bluetooth(R) sources. Amplify - Add a second Beats Pill+ into the mix and simultaneously play from both for a sound that's twice as full. Stereo - Use two Beats Pill+ speakers as left and right output for an even more dynamic sound experience. Beats Pill+ marks the first time Apple has released an app on both the iOS and Android platforms simultaneously, and it's the second Android app that Apple has debuted after introducing the Move to iOS app earlier this year. Apple plans to introduce additional Android apps in the future, including an Apple Music app. The new Beats Pill+ app comes just over three weeks after Apple debuted its new Beats Pill+ speakers. The Beats Pill+ is a wireless Bluetooth speaker that's the first Apple has introduced since purchasing the Beats brand in May of 2014. Priced at $229, the speaker is now available in black or white from the Apple Online Store. Whoa, check out that hamburger menu. Apple released an iOS app with a hamburger menu. How much you wanna bet the Android version will get flooded with negative comments by people who don't even own the product? I have the speaker in my kitchen. It looks great, very Apple-like in it's simplicity (as opposed to old Beats designs). Sounds really good. Don't see any need for the app, though, but I have it connected to an Airport Express. I'd be interested in trying out the wireless stereo pairing, if they weren't so expensive and could actually afford to have 2. I'm shocked. This article is 30 minutes old. Not only are there no comments, no one bothered to comment the fact that there is a companion Android app.